Home Business4Law Seminars Don’t miss this must-attend Small Law Firm seminar! Time is running out to book for the one-day Boot Camp seminar, specifically aimed at small and medium law firms. This seminar will give you the practical advice and tools you need to create and maintain a sustainable practice. Find out more about the future of Small Law in South Africa and gain insight into best practices to keep you on the road to success. Over 200 delegates have already booked for the seminar at the CSIR in Pretoria on the 20th July. The objective of the seminar is to show you how you can improve your bottom line. While many lawyers acknowledge that it is becoming increasingly difficult to practice law, few take the time to “sharpen the axe”. And that’s what this seminar is all about: Becoming more efficient and innovative in order to survive and thrive in coming years. You’ll hear how you can increase fees and reduce costs, and how you will be able to reduce discounts and improve collections. You’ll also hear how you can outsource aspects of your practice for increased profitability. You will almost certainly have heard that lawyers need to innovate if they want to survive and thrive in the future. However, there is a mis-perception that innovation is only about technology, and that is simply not true. Law firms need to find more efficient ways in which to practice, and many of these ideas have nothing to do with technology. Never before has there been such an important seminar focused on practical advice for small to mid-sized firms. So if you haven’t booked already, avoid disappointment and register today. 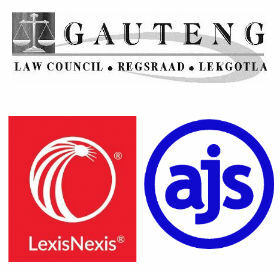 The Small Law Firm in RSA – What is the future and how to prosper?